Our Pathologists - Wax-it Histology Services Inc.
Dr. Meador brings to Wax-it Histology Services Inc. his wealth of experience in drug development for diverse therapeutic areas of all molecule type, his in-depth understanding of GLP regulation, and more. 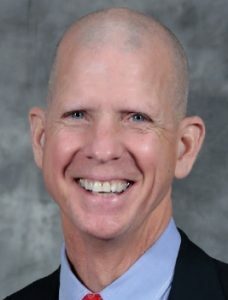 He has 25 years of experience working in top tier global pharmaceutical and contract research organization companies, and has held a number of prominent positions over the years, including Director, Toxicology and Pathology for Eli Lilly; Executive Director, Toxicology for Amgen; and VP and Global Head, Pathology for Covance. Since April 2016, Dr. Meador has become the business owner of Pacific Tox Path, LLC, a Pacific Northwest-based Consultation and Contract company for preclinical drug development. Dr. Meador received his D.V.M in 1981 and his Ph.D. in Veterinary Pathology in 1988 from Iowa State University. He is dual certified as a diplomate of American College of Veterinary Pathology in 1989 (anatomic) and 1991 (clinical). 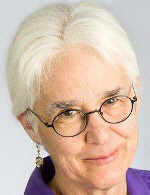 Rebecca Rose, D.V.M., M.S., Ph.D., D.A.C.V.P. For 22 years, Dr. Rose has specialized in preclinical device pathology. Dr. Rose provides engineers, entrepreneurs, and venture investors with relevant, coherent, and timely information about the tissue response to their investigative question. Recent animal studies include heart failure models, ablation (radiofrequency and cryo-ablation), viral vector transfer by electroporation, cell transplantation, cardiac pacing and defibrillation, intravascular devices, reaction to foreign materials, and electrical stimulation of nerves. Recent tissues range from the heart to peripheral nerves, lungs, gastrointestinal tract, vessels, subcutis, central nervous system, nasal sinuses, prostate, eye, esophagus, and the lung. Prior experience includes laboratory animal pathology, prosthetic heart valve assessment, and infectious disease research. Dr. Rose loves the entrepreneurial challenge and has twice founded her own consulting practice, recently in 2013 with her GLP compliant firm, Rose Pathology Services, LLC. Dr. Rose has held professional positions at Medtronic Physiological Research Laboratories, University of Minnesota College of Veterinary Medicine, Massachusetts Institute of Technology Division of Comparative Medicine, USDA National Animal Disease Center, and Kansas State University. She has served all kinds of enterprises – from the Fortune 500 to daring start-ups to national research universities. Dr. Rose earned her D.V.M and M.S. from Kansas State University and her Ph.D. from Iowa State University. She trained for the ACVP boards at the Massachusetts Institute of Technology. Dr. Rose is an author on 43 publications, presentations, and abstracts.